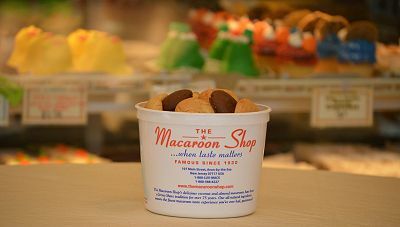 Visitors to the New Jersey shore have been enjoying The Macaroon Shop’s delicious coconut macaroons, almond macaroons, French macaroons, cakes, pastries, and baked goods for more than 80 years. Our coconut macaroons and almond macaroons are the most mouth-watering, delicious gourmet treat for yourself or as a gift. 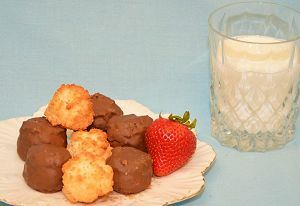 We offer chocolate covered macaroons if you want something really outrageous and decadent. 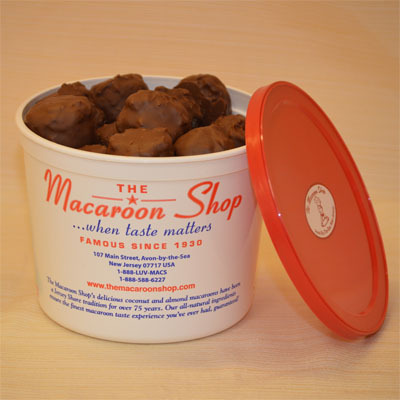 We offer fresh macaroon delivery from our online store to every state in the country. We use only top-grade ingredients for all our desserts. We use the finest coconut for our coconut macaroons and the finest almonds for our almond macaroons. Tradition is important in The Macaroon Shop® way of doing things, and we know our customers feel the same way when they taste the goodness and perfection of our macaroon and bakery products. Our macaroon recipe has not changed since 1930. Our customers agree — you haven't really tasted a good macaroon until you've enjoyed one from The Macaroon Shop.